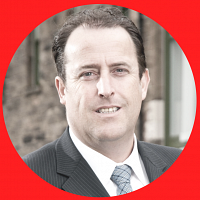 Peter Blakely is the Founder of Blakely & Associates and grew the company to be one of Canada’s leading fundraising and direct marketing consultancy agencies. Starting his career in the for profit sector, Peter gained extensive knowledge and experience in the use of a wide range of analytical tools and direct marketing. As a Canadian national team athlete, he was required to raise money so that he could compete and then went on to help the team and his sport raise annual funds. It was the combination of these activities, fundraising and direct marketing and the recruitment and retention of staff for all of his projects, which lead to the creation of Charity Careers Canada. Peter’s entrepreneurial background, expertise in the use of data analytics and application of research ensured that clients benefited from the use of every possible fundraising channel and market opportunity. 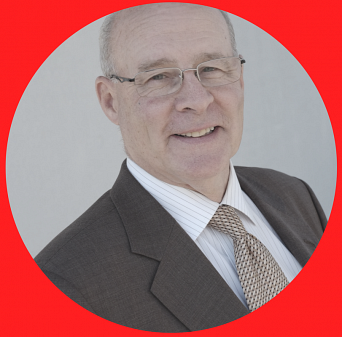 As an active community volunteer, Peter is a member of the Association of Fundraising Professionals, the Association for Healthcare Philanthropy and the Canadian Association of Gift Planners. Bruce Tait has worked in the voluntary sector for over 25 years and has recently been named as a Fellow of the Institute of Fundraising. Following roles as Director of Fundraising and Chief Executive at several national charities, Bruce set up Bruce Tait Associates in 2007 to help charities find and recruit great staff. Bruce provides strategic, communications and fundraising consultancy and advice to charities throughout Europe and has recruited extensively throughout the UK and Ireland. Bruce joined with Peter Blakely and Rob Peacock in 2016 to set up Charity Careers Canada. Bruce is a former Chair of the Institute of Fundraising Scotland and a Trustee of Scottish Outdoor Education Centres and Falkirk Football Community Foundation. Rob Peacock is a Certified Fund Raising Executive with 30 years of fundraising experience. For the past 10 years, Rob has served as CEO of Peacock Philanthropic Counsel Inc., providing strategic counsel to more than 80 charities in Canada. Previously, Rob fulfilled a number of senior development and leadership roles at Habitat for Humanity Canada, Junior Achievement of Canada Foundation, PC Canada Fund, Mt. Sinai Hospital Foundation, the University of Toronto and Ryerson University. Rob is Past Chair of the Association of Fundraising Professionals in Canada, and served on the Board of the Ontario Trillium Foundation. Rob holds a Masters degree in Philanthropy and is a faculty member for the Masters in Philanthropy and Nonprofit Leadership at Carleton University, Canada’s first Masters program in Philanthropy, where he also sits on the Advisory Committee Rob was recently a visitor in residence of the Institute for Corporate Directors Not-For-Profit Governance Essentials Program at the Rotman School of Management. MARTY THOMAS, brings with her a unique skill set built on 14 years experience of planning, management and leadership in the public, private and charitable sectors. After having spent seven years in the charity recruitment sector, Marty completed an advanced MBA in Business and Sustainability, further honing her ability to manage the social, environmental and financial considerations of key business initiatives. 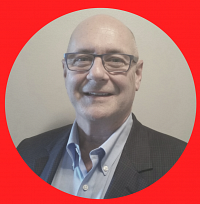 Marty is Past Chair of Alternatives – East York Mental Counselling Services Agency and a recurring participant in WWF’s CN Tower and the Sporting Life 10K in support of Camp Ooch.